Good stocks are a lot of fun to own. Bad ones? Not so much. Unfortunately stocks aren’t labeled as “good” or “bad”, so a little bit of work needs to be put into picking them. There are a lot of variables to consider when doing stock research so buckle up because we’re going to get right into it. If the price has trended upward over time that’s a good sign. Shocking, I know. If you step onto a plane for a flight and find out the pilot is actually a gym teacher with narcolepsy that has already nearly wrecked a few planes you’re probably going to be a little concerned. My point is basically you don’t want the wrong crew flying the ship. The same sentiment applies to companies. A good management team can help a company outperform its peers while a bad one can cause the stock price to nosedive. When a company has a history of consistently increasing dividends that usually means the company is doing well financially. Dividends can be a great way to supplement your income, so rising dividends are always a nice perk. On the opposite side, if a company has a history of cutting their dividend that raises some red flags that you should investigate before you even consider starting a position. As the saying goes, “Sh*t happens”. Sometimes things that affect a company’s performance happen that are completely out of their control. Here a few examples that you might want to consider. Many industries go in cycles of ups and downs, so looking at the current health of the company’s sector can help determine if it’s worth it right now. Also watch out for companies or industries that are becoming obsolete. I’m looking at you Blackberry. You can’t help but admire their persistence for sticking around this long though. Performance can differ depending on the season of the year so that might be a factor to take into account during the analysis. In addition, natural disasters can potentially cause huge setbacks. For example, if a resource rich area is decimated by a hurricane then it’s a safe bet that it will have effects that ripple throughout the economy. Ah the wonderful world of politics. The political climate can affect companies through things like tax breaks, import/export policies and subsidies and tariffs. Keep an eye on the news to see if there’s anything going on that might be a negative or positive for a potential stock investment. Emotions can play a surprisingly big role in stock price, especially negative emotions. If the public largely associates a corporation with a poor reputation then the stock price will very likely reflect that. Remember that time when BP spilled all that oil in the Gulf of Mexico? Or maybe that time Equifax had that major security breach? It turns out people don’t like seeing cute sea creatures covered in oil or having their important personal data leaked. It’s almost impossible to predict how harshly the public will react or how long the beat down will last so usually it’s a good idea to stay away from companies that recently got some bad press. If you’re feeling a little bold then investing in a company in this position can be profitable in the long run. I’d highly recommend only doing that if you think the company has a very good chance of recovering and being successful in the future. Inversely, positive press can increase stock price but usually not by much. Corporations are expected to follow an unwritten code (and a written one) of not being completely heinous, so the public already expects them to behave appropriately. This is where the real fun starts. 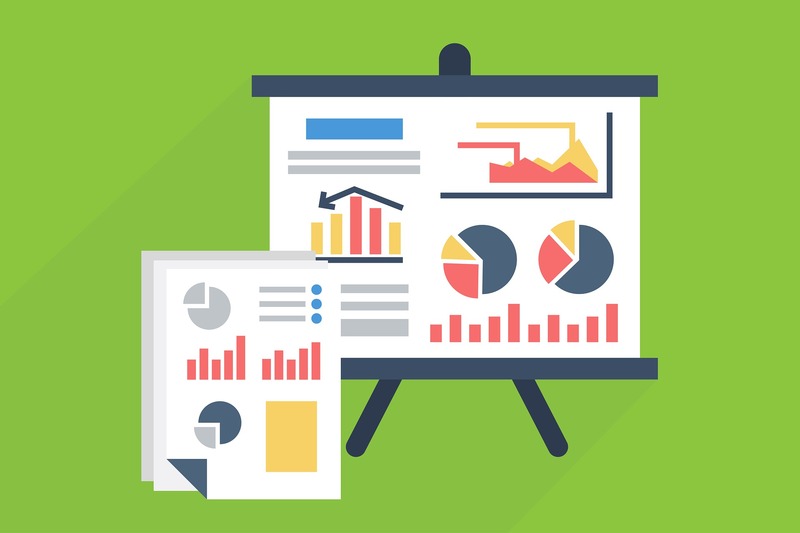 To truly understand the health of a company you’ll need to dive into the financials to get a pulse of how they’re operating. Below are a few common metrics used when evaluating stocks. 1.) Price to Book Ratio (P/B) – Useful in determining if a stock is undervalued or overvalued. Anything under a 1 for the P/B ratio is considered very good and is an indication that the stock is undervalued. 3.) Price to Earnings Growth Ratio (PEG) – Similar to P/E but it takes the earnings growth into account, which allows more insight than just the P/E ratio. A low P/E ratio doesn’t always mean a company is a good investment, but the PEG ratio can help you delve a little deeper. 4.) Price to Sales Ratio (P/S Ratio) – Measures the stock price against the annual sales. It’s used to determine how many dollars investors are paying for each dollar of sales. 6.) Earnings per share (EPS) – A measure of how profitable a company is. It shows the profit the company was able to achieve divided by all of the shares of the common stock. Positive EPS numbers are obviously preferred because that shows the company is making money and not losing it. If all of that sounds a little too complicated you can always just buy index funds and probably do just as well, if not even better, compared to picking individual stocks. Index funds track a collection of stocks so if one stock in that fund’s holdings doesn’t perform well the rest can pick up the slack. Basically it lowers your risk by diversifying your portfolio without buying each individual stock. They’re an integral part in any investment portfolio and make things especially easy. Just be aware of any fees that might be associated with them. Typically the fees are pretty minimal though. This short guide might not make you an expert right away, but it should give you a few things to consider when trying to determine which stocks to invest in. 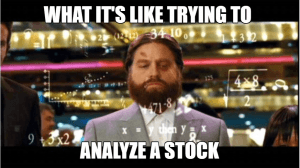 I know it’s way easier to go along with someone else’s analysis, but when it comes to investing your money it’s always a good idea to do your own research and form your own opinion. Sorry to be the bearer of bad news, but if you invest the responsible way you won’t be able to pin ALL the blame on that idiot online that told you to invest in that stock that ended up being a bust. ← Is College Still Worth It Today?